For many Christians around the world, today marks the celebration of Good Friday, the day that marks the crucifixion of Jesus. Throughout human history, religion has been an important part of life for many people, so it is unsurprising that it leaves a lasting mark on language. Today we're looking at a few of the ways Good Friday, Easter, and Christianity have left their marks on the English language. 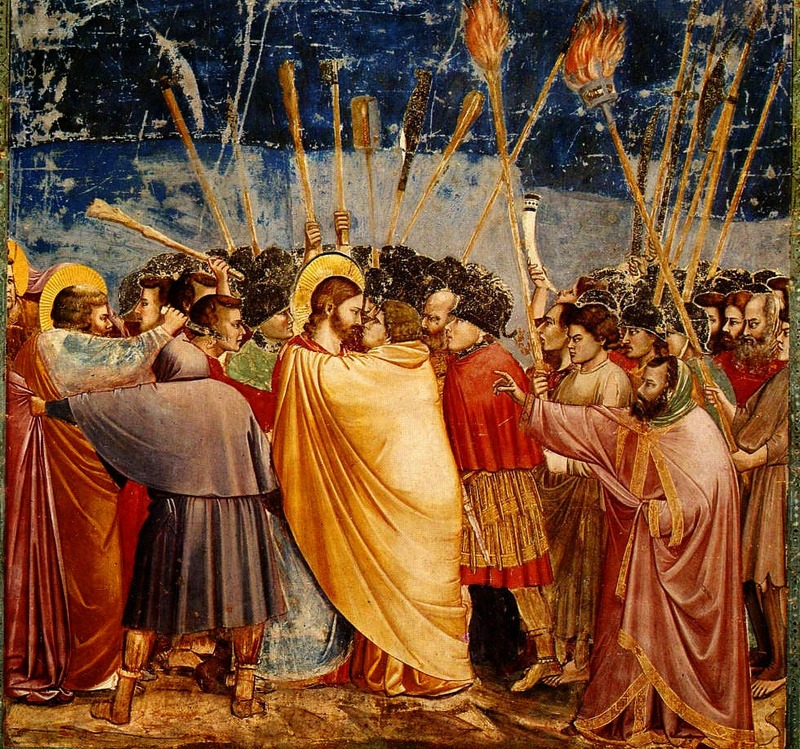 Jesus being betrayed, with a kiss from Judas Iscariot. For many English-speaking Christians, naming the day when their lord and saviour died good may seem a bit peculiar. While the meaning of Friday is uncontested, the explanation behind the term good is fairly complicated. Some believe that the use of good may refer to the actions of Jesus, rather than some of the other events of the day, meaning that the term is being used in reference to God and holy things instead of its more common everyday usage. Etymologically speaking, the good in Good Friday is also thought to have originated from "God's Friday", Gottes Freitag, or from the German Gute Freitag. 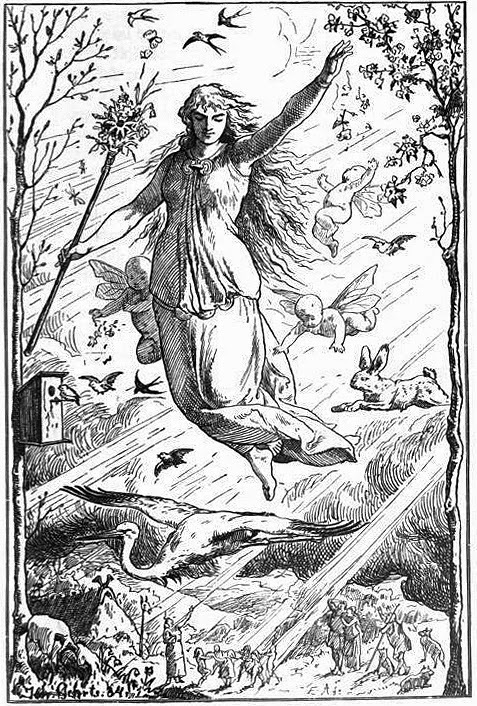 Ostara, the Pagan goddess of spring and fertility. Judas Iscariot was the disciple who betrayed Jesus by delivering him to the Romans in exchange for thirty pieces of silver. Due to his betrayal, his given name, Judas, is sometimes used to refer to a traitor either by referring to them directly as Judas or even as a Judas. This is used across most varieties of English in a very similar way to how Benedict Arnold is used American English. Arnold defected from the American Continental Army to the British Army during the American Revolutionary War. English differs from other languages in that it doesn't use a term related to the Latin word Pascha to refer to this holiday. The roots of Easter go all the way back to the Proto-Indo-European term aus, which refers to shining. This later become austron in Proto-Germanic from *aust-, referring to the East and the sunrise. This became Eastre or Eostre and then the Old English term Easterdæg before finally becoming Easter. It should be noted that the English term for the Christian holiday actually comes from the name of a pagan god of spring and fertility!